I will listen to you. 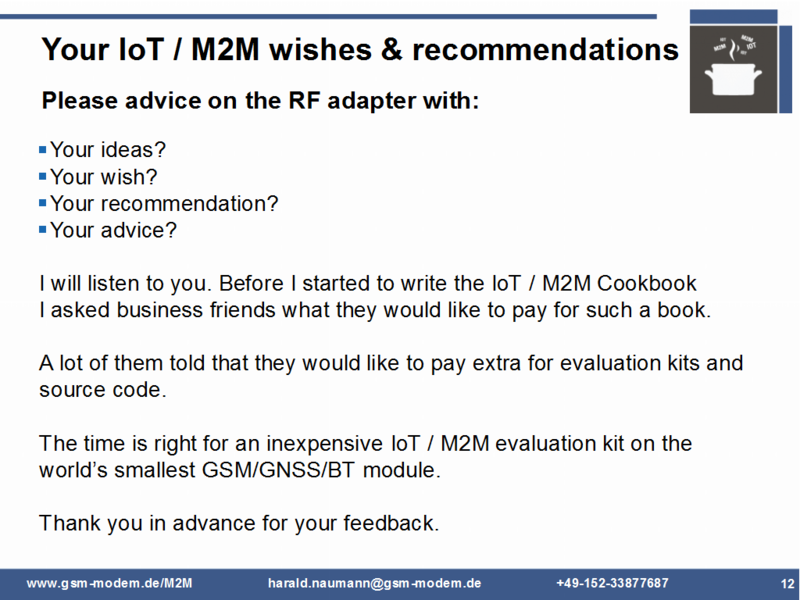 Before I started to write the IoT / M2M Cookbook I asked business friends what they would like to pay for such a book. A lot of them told that they would pay extra for evaluation kits and source code. 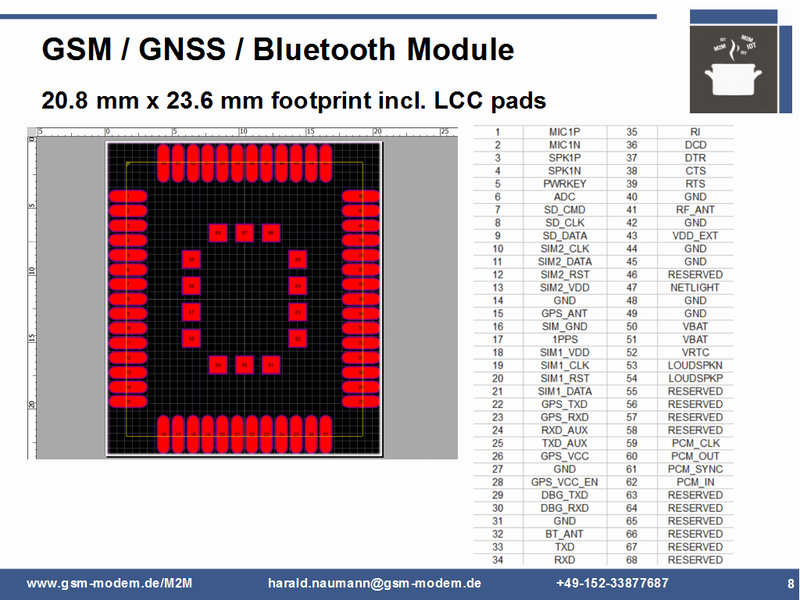 The time is right for an inexpensive IoT / M2M evaluation kit on the world’s smallest GSM/GNSS/BT module. Thank you in advance for your feedback. 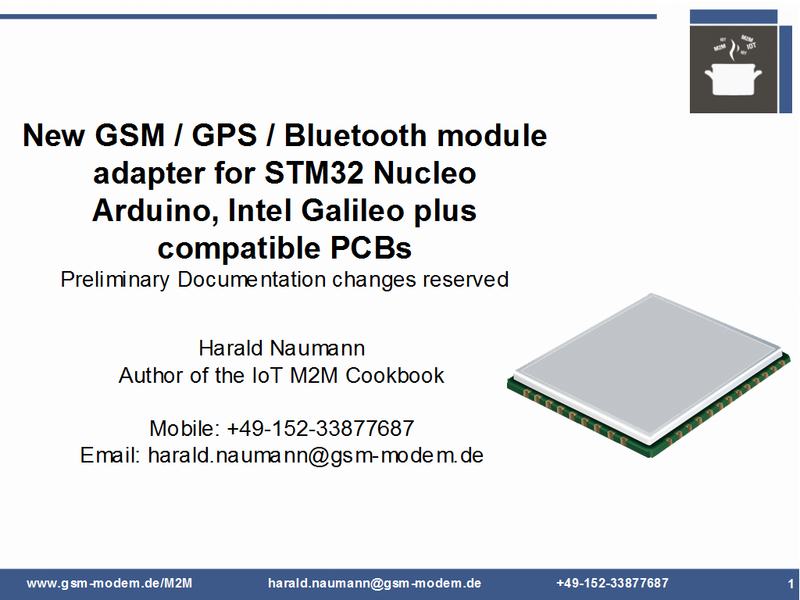 Today I present the world first three in one GSM / GPS / Bluetooth adapter for Arduino, STM32 Nucleo and Intel Galileo for you. The GSM / GPS / Bluetooth adapter will support a lot of other maker kits or MCU evaluation kits with Arduino header as well. It wiill support 3V and 5V maker its in parallel. 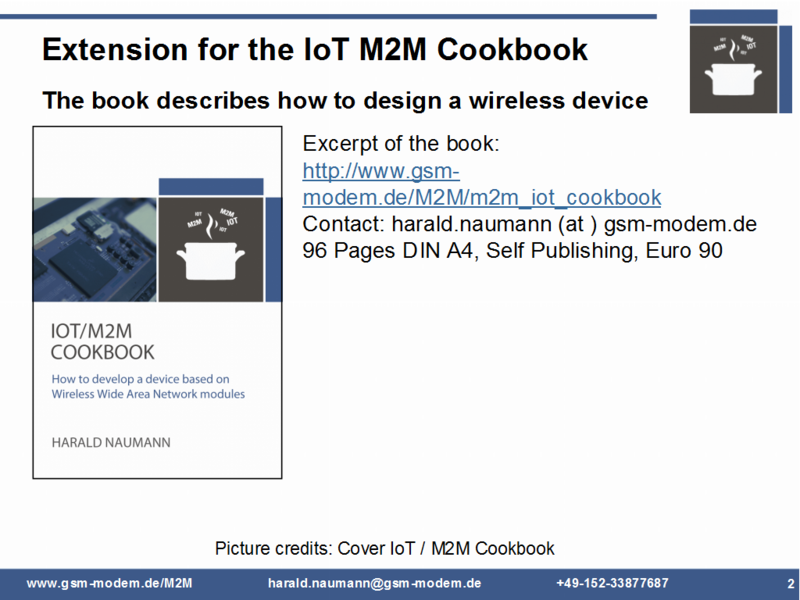 A lot of readers asked for an extension for the IoT M2M Cookbook. The time is right. They will get it. This RF adapter makes hobbists, stundents, teachers and industrial developers happy. The parents will get a useful present for the kids at thir next birthday or Xmas. 1. 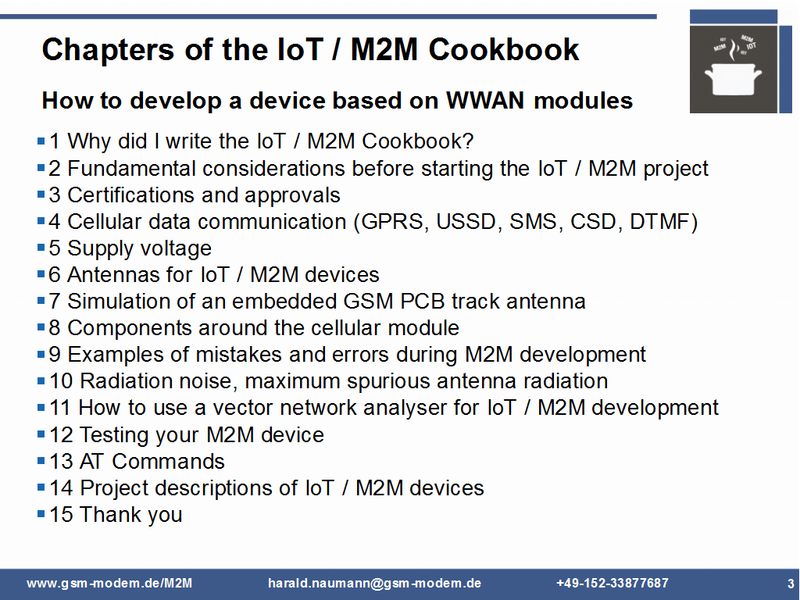 Why Did I Write the IoT / M2M Cookbook? I have worked in the Wireless M2M industry for more than a quarter of a century. Twenty-five years ago, we didn’t even have a word for “M2M” or “IoT”. 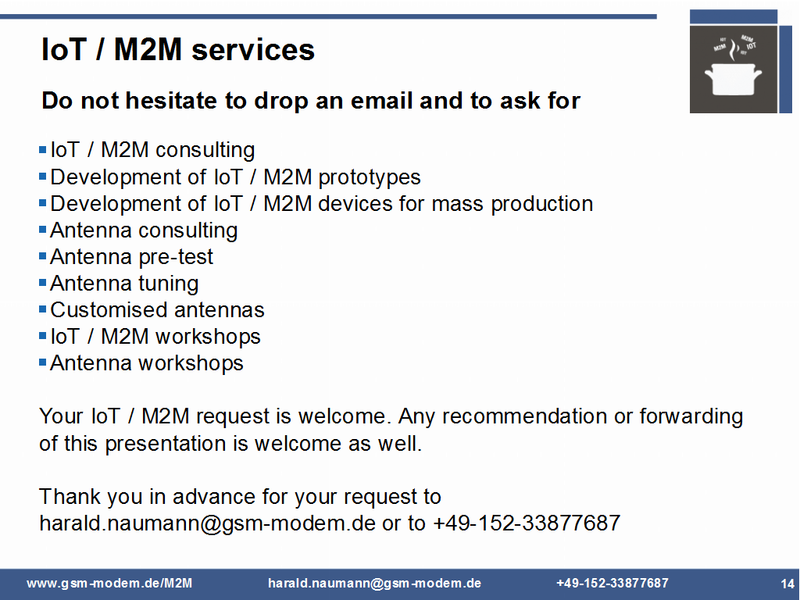 We developed Machine to Machine devices without knowing that decades later these creations would be called “M2M devices”. 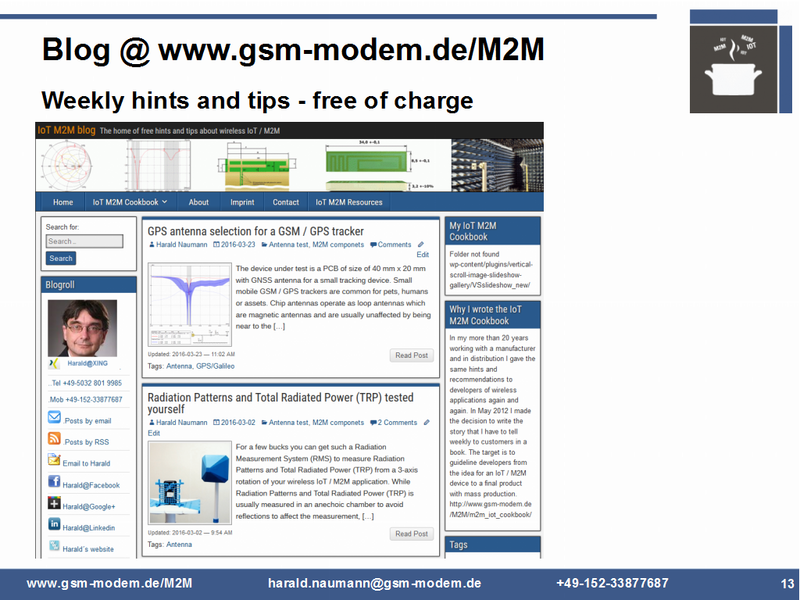 Twenty-five years ago, the GSM network for wireless data communication did not exist. I took my first steps in wireless data communication with Frequency Shift Keying (FSK) on Private Mobile Radios (PMR). 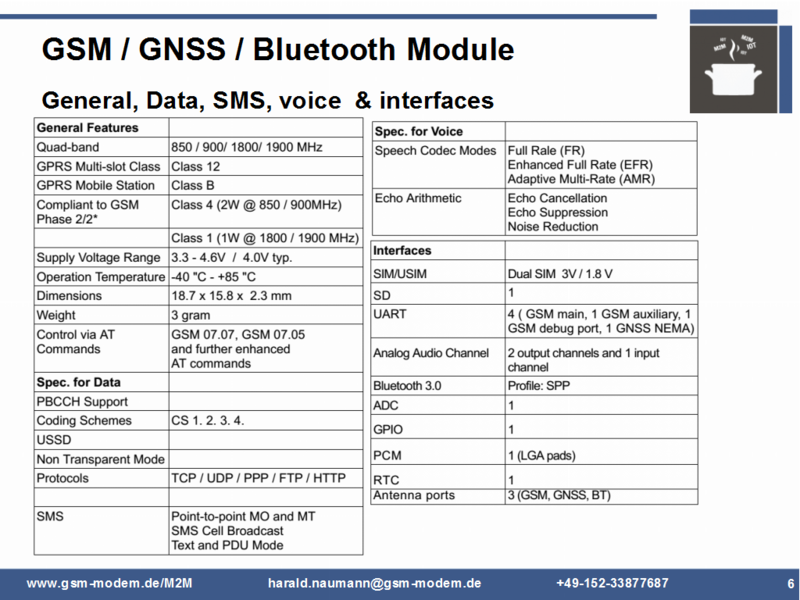 I got the details on this real hot IoT module some weeks ago and asked for more. 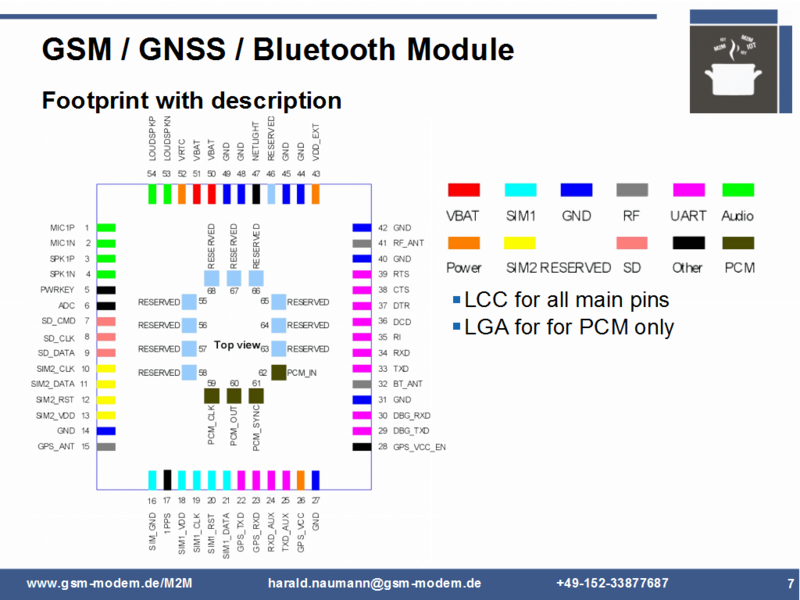 I aleady have everything to start my GSM GPS Module shield. 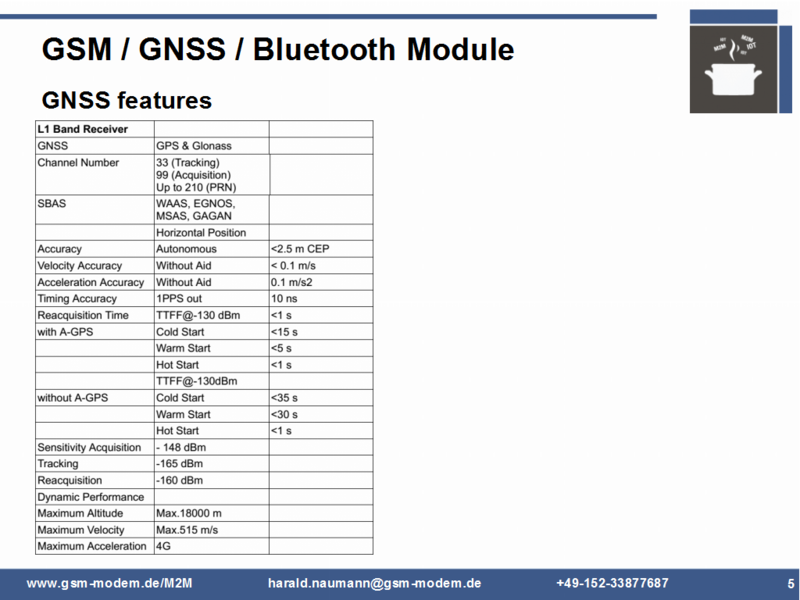 GPS is already wrong, because it is supporting GPS and GLONASS. Moreover, it comes with RTOS and free of charge C compiler. Truly spoken there is no need for a Arduino SDK. This IoT module can run independent. You can make an own emergency phone, asset tracker or pet tracker easily. Russia will begin to tax foreign GPS hardware with a 25% tax. Russian vice-premier Sergei Ivanov said on Friday that the measure is being taken to ensure the use and growth of GLONASS the Russian GPS system. If your plan was a dual SIM phone, then you can make it. 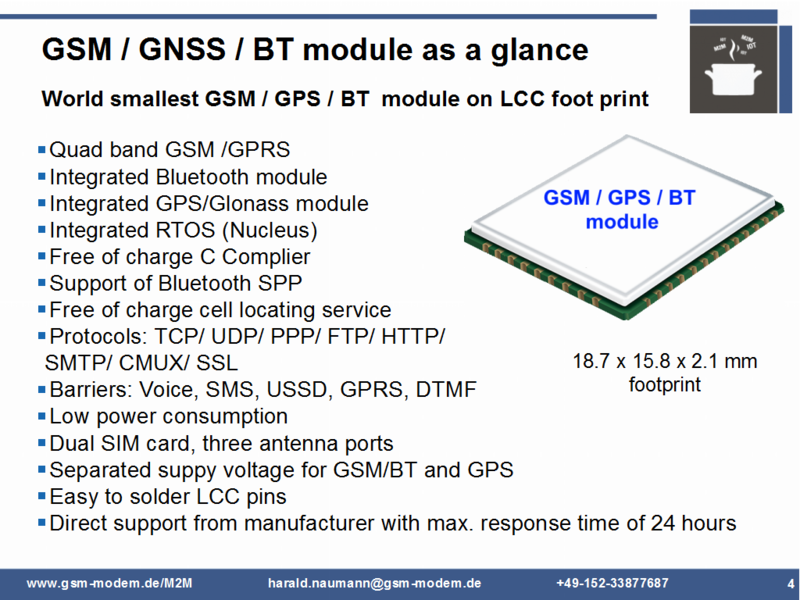 The GSM / GPS / Bluetooth module footprint has on LCC a size of 18.7 mm x 15.8 mm only. With the LCC pins it is 23.8 mm x 20.8mm. It is already small enough to fit in your bicycle frame. 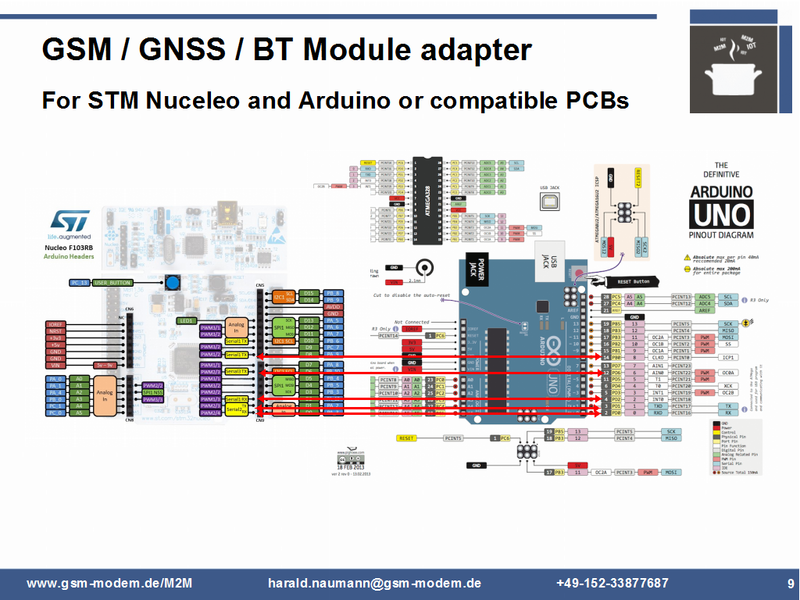 The UARTS on Arduino UNO and STM32 Nucleo are on diffferent pins. At Arduino UNO the only UART is to connect to the Arduino SDK. On Arduino UNO I will get three software UARTs. 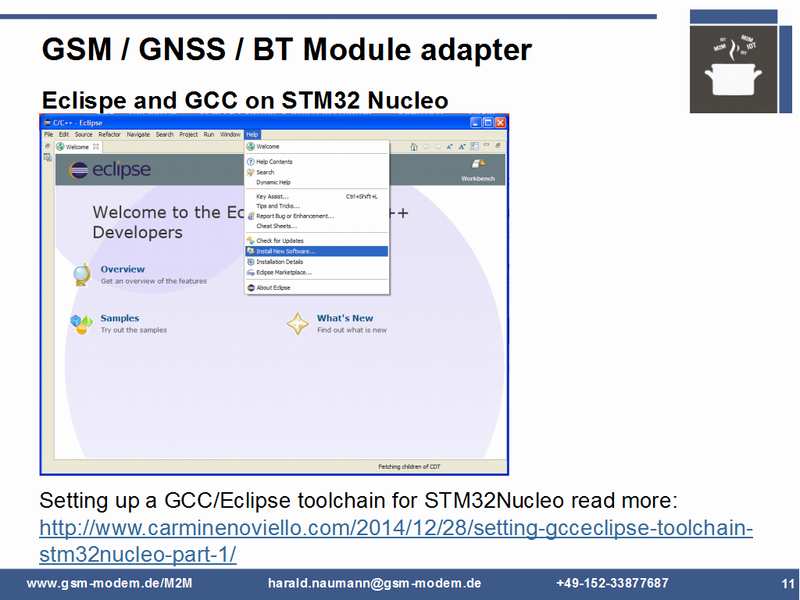 On STM Nucleo I will get three hardware UARTs and on Intel Galileo 2 there is two hardware UARTs. If I want a thrid UART, then I wil get it by software. 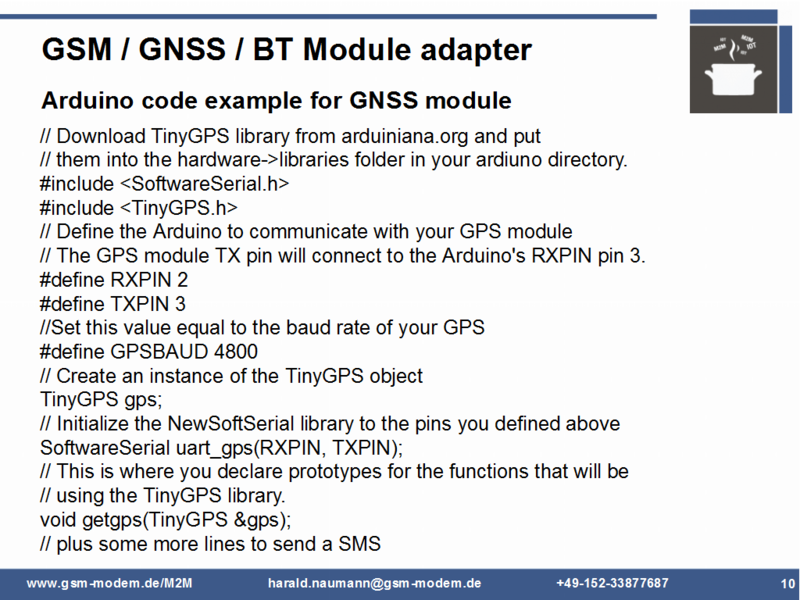 With the include SoftwareSerial.h and TinyGPS.h the Arduino UNO is ready to read the GNSS data stream. Your ideas? Your wishes? Your recommendation? Your advice?